Cleaners London is a leading company that provides outstanding carpet cleaning services in London. We take the responsibility of delivering an efficient and hassle-free cleaning procedure. We work seven days a week and we cover all London areas. We are providing steam and dry carpet cleaning! Our skillful cleaning technicians will bring the latest equipment to your home. You just have to let us know if you prefer the dry carpet cleaning or the hot water extraction. The furnitures shouldn’t be a bother. They will be moved away from the carpet and put back at the end of the cleaning procedure. Needless to say an utmost care will be taken towards your comfortable sofa, stools and a coffee table. According to our customers we are the only one cleaning company that offers superior carpet cleaning service at reasonable price rates. We are available every day for your delight and convenience. Book Your Carpet Cleaners Now! The steam cleaning removed all the stains from the carpet! Thank you. The Hot Water Extraction cleaning method is thought to eliminate any kind of bacteria due to the high temperature of the water sprayed over the carpet. Before the hot water extraction process the carpets should be prepared by vacuuming and treating the stains in a proper manner. You will be provided with special shoes after the procedure in order to avoid any damages but in general stepping on the carpet right after the cleaning procedure is not recommended. The dry cleaning was very fast and my carpets was completely dry! 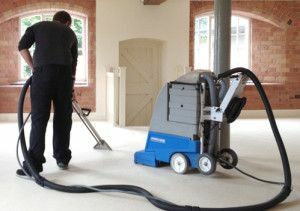 Dry Carpet Cleaning – that’s the second effective way of dealing with the dirty carpets. 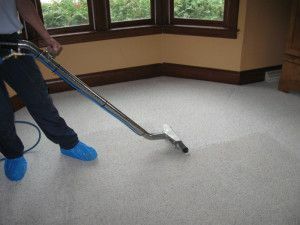 What makes the difference between the dry carpet cleaning and the hot water extraction is the fact that your carpets are cleaned with special powder, which is after a particular period of time, extracted from the carpet together with the dirt by using a vacuum cleaner. Some fabrics such as cotton, velvet and sisal respond really good to the dry carpet cleaning procedure. You can also ensure the cleanliness of your carpets for the years to come by purchasing the Scotch Guard Protection – that’s innovative technology that prevents accidentally spilled liquids from absorbing deep into the carpet.